Pelenna Patchworks: Moda Little Black Dress 2 patchwork fabric range now available! Moda Little Black Dress 2 patchwork fabric range now available! 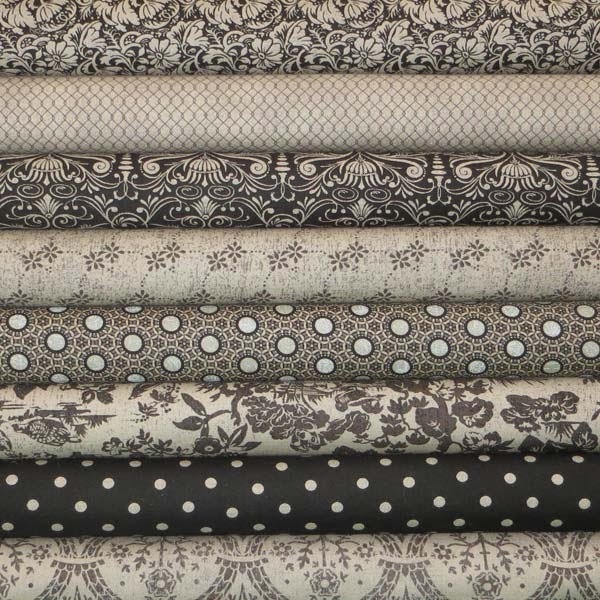 Just like your favorite little black dress, BasicGrey’s Little Black Dress 2 patchwork fabric collection has classic elegance covered. Subtle suiting greys, soft creamy neutrals and bold blacks create a striking ensemble of beautiful designs. Perfect to create a stunning, sophisticated look, whether in a patchwork quilt or general home furnishings, or even for dressmaking projects! We have the full range available by the metre, plus fat quarter packs and stash packs in 3 different colour coordinated colourways - black and tan, black and grey, and tan and ivory.